Would you like to explore the area of Zlarin and Šibenik on your own? No problem – we offer kayak rentals for a few hours up to a few weeks! 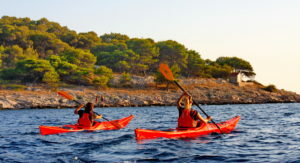 We can offer you a single seat-in sea kayak and/or tandem seat-on-top sea kayak based on your preferences, previous experience, and of course, your group size. Short brief on where to explore and sights to see! For multi day rentals we can keep your personal baggage at no charge in our base. Also we are available 24 hours on a phone in a case of emergency! Upon decision to rent a kayak for at least two days, we will send/give to you Rental agreement and Liability Waiver that you have to fill out and sign, and make a payment of full price or at least deposit of 40%. 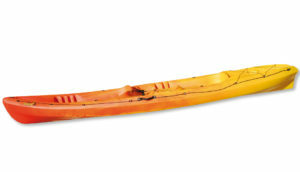 At pick up of a kayak we will ask you to leave €300 deposit for any possible damage that can occur due to kayak rental. 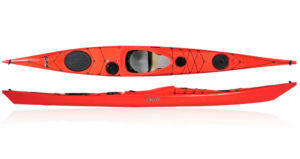 Deposit will be given back upon kayak return if there is no damage on any piece of gear. The Agency has a right to withdraw the amount from deposit sufficient to fix eventual damage. Be sure to visit our Terms & Conditions page for more in-depth information.